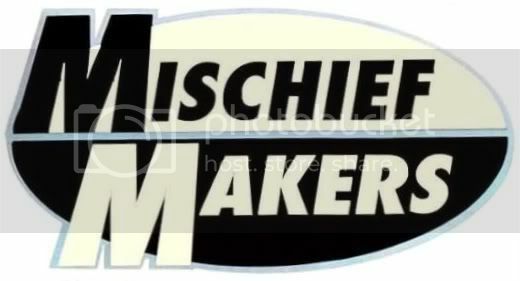 The Mischief Makers: Black CB750 - Making the seat and surrounds. 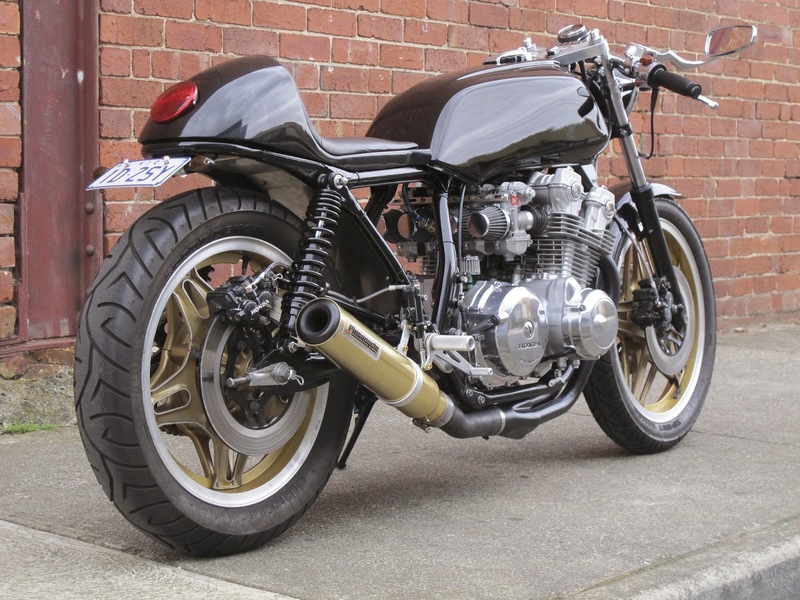 Here's a 1982 CB750 that we worked on a while back. 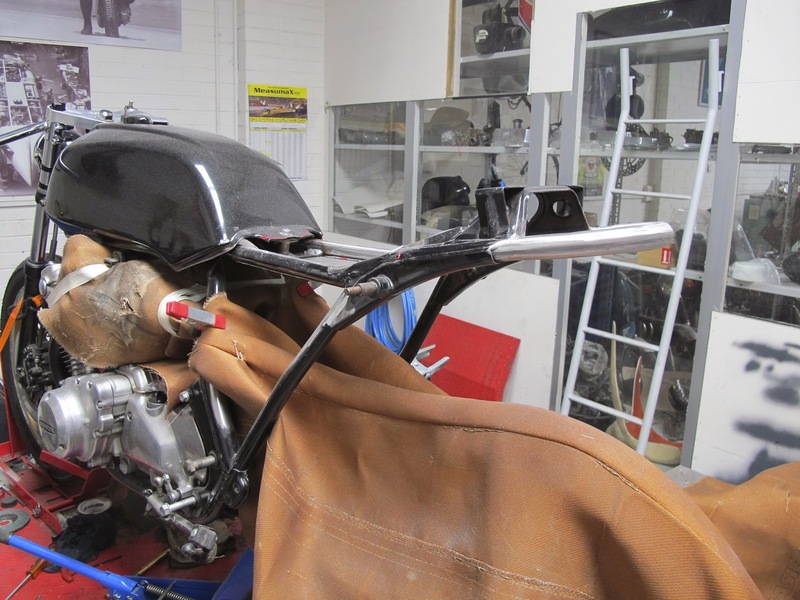 So first up, a little information about the seat, which was purchased from 'Benjie's Cafe Racer' in the US. It was apparently a straight bolt-on job but when it arrived it was twisted and bent out of shape and appeared to be fibreglass mixed with talc. We ended up spending 10-12 hours just trying to make the thing fit. Constant cutting and reshaping until we managed to make it work. In retrospect we probably should have cut our losses and just made a mold of the seat and started from scratch. It would have been quicker. In that last photo you can see the beginnings of the work that we did under the seat. Brackets were made and stainless steel mesh was fitted to allow cool air to flow around the electronics. Other stainless plates were fitted and polished. And a plate was fitted in lieu of a fender. Small tabs welded up for this. Dry fitting it here to make sure all the screws were lined up correctly. We did some more work which we'll outline in another blog post shortly. 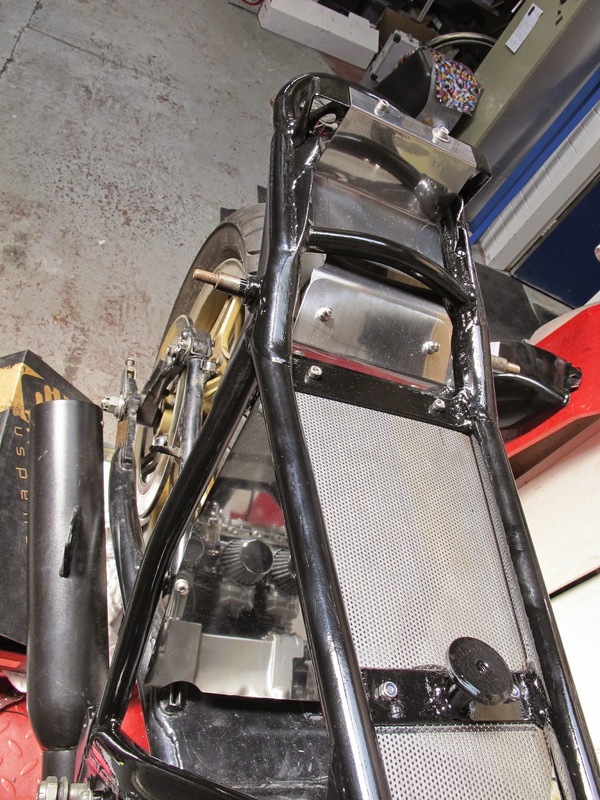 But in the meantime here's how the seat and rear frame looks at the moment. We think it looks pretty neat - especially given the quality of the item we had to work with in the first place! We painted the tank and seat in 2 pack gloss black. Have you thrown some money on a part that needs some massaging to fit? Contact us for a chat to see if we can, cut, shut or weld to make it work.